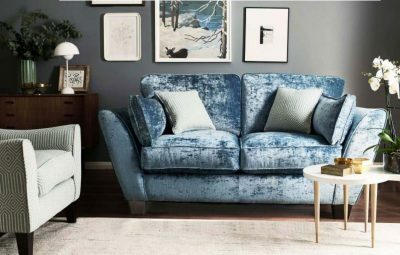 Whilst all sofas in this range can be made to match, all models in the Alagon Sofa Collection can be purchased individually & made-to-order. 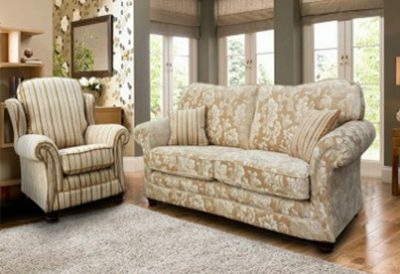 The Alexandra looks great in our more formal fabrics, and in those fabrics it captures a timeless look. Alexandra also looks very relevant to modern decor when upholstered in velvets & linens. The classic style and luxurious elegance will never go out of date. 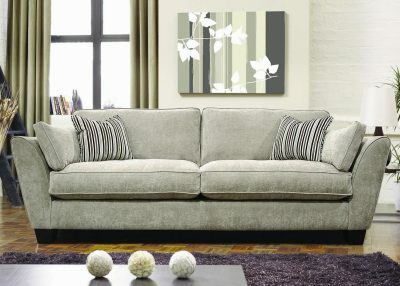 This Irish hand crafted sofa is upholstered and available in a large selection of only the best quality fabrics. A long-standing bestseller! 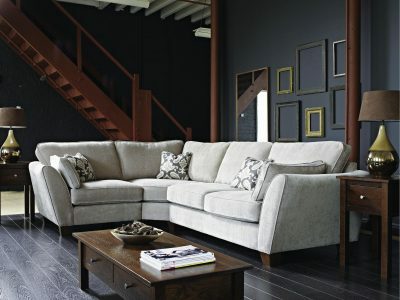 A relaxing family sofa collection from Ashley Manor with contemporary styling and added comfort. â€¢11 plains and 8 patterns. â€¢Quality fibre seats with optional supalux upgrade. 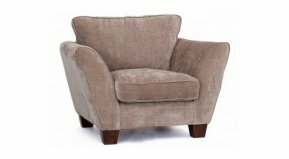 â€¢Quality fibre back cushions and feather-filled scatters & bolsters. â€¢3 wood finishes: light, dark or weathered oak. 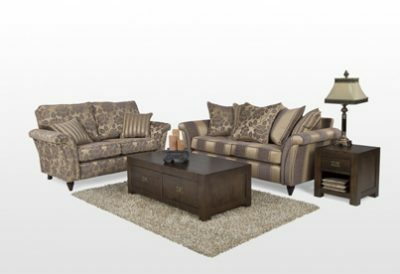 â€¢3 corner group sizes, 3 sofa sizes, 3 chair styles and 2 storage stool sizes available. 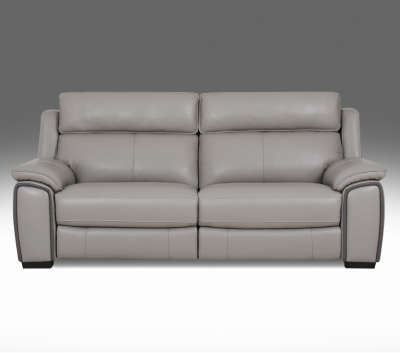 Options: 4 seater is available split at extra cost and will have a centre foot. Feet are removable. Care: Cushions must be plumped regularly to retain their performance and appearance. Wood care: Wood is a natural product, variances in grain and colour are a sign of a genuine product. Always handle with care. A long-standing bestseller! 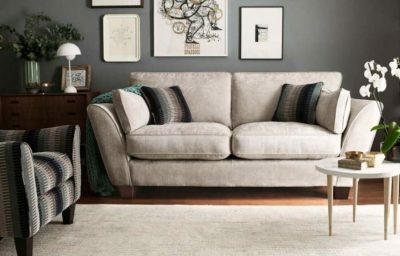 A relaxing family sofa collection with contemporary styling and added comfort. â€¢11 plains and 8 patterns. â€¢Quality fibre seats with optional supalux upgrade. 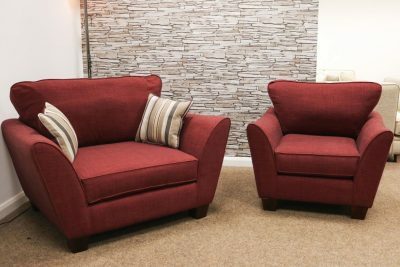 â€¢Quality fibre back cushions and feather-filled scatters & bolsters. â€¢3 wood finishes: light, dark or weathered oak. 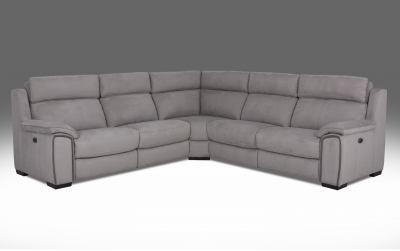 â€¢3 corner group sizes, 3 sofa sizes, 3 chair styles and 2 storage stool sizes available.